We are thrilled to announce that callstats.io is available with the JsSIP library bringing monitoring and analytics for JsSIP. If your app uses the SIP signaling like products from Twilio, Voxbone, Kazoo, Plivo, you must use the callstats-jssip shim. Big thanks to the team behind JsSIP, especially Iñaki Baz Castillo from Nimble Ape for integrating callstats.js! Callstats.io support landed with v3.0 of JsSIP. The documentation for integrating the callstats-shim is available here. Download the latest shim from https://api.callstats.io/static/callstats-jssip.min.js. Enabling callstats.io with https://tryit.jssip.net is very simple. 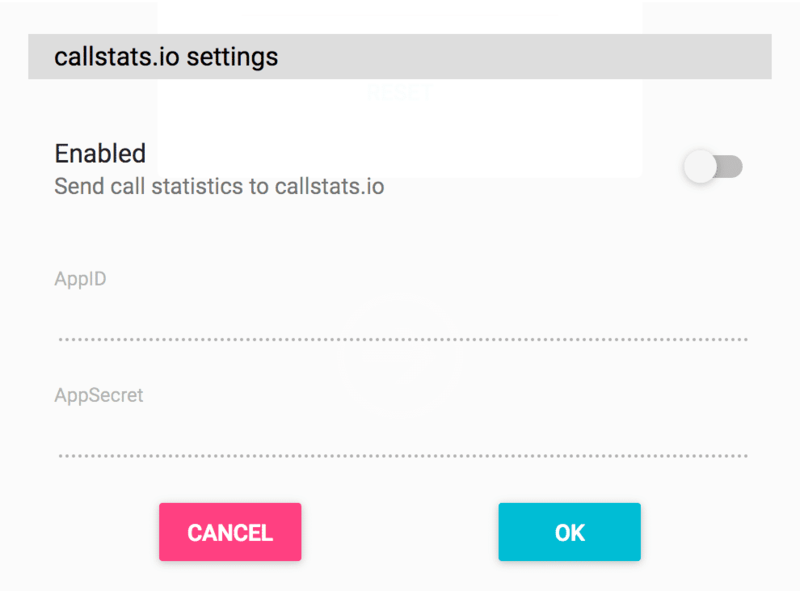 The app has a settings page, where callstats.io statistics can be toggled on or off on a per call basis. More details are available on the try-it’s github page.